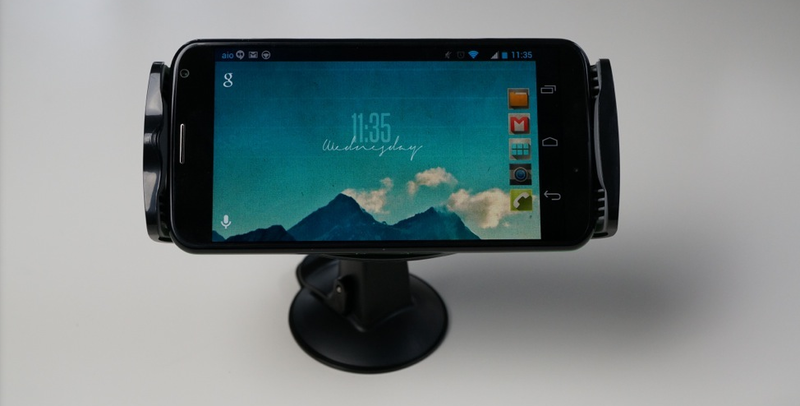 Does anyone remember the Griffin Car Dock for the Moto X that we took a look at way back in September? According to a couple of our readers, that dock is finally back in stock after having been out of stock essentially since then. So if you have been waiting patiently for its glorious return, now is your time. Both Motorola and Griffin stores have it available for $39.95 as of this morning. When we opened one up, docked a Moto X, and gave you our thoughts, we said that it certainly felt like it could be a lovely little dock. The materials were high quality, the adjustable swivel head was a nice addition, and the grip on your device while docked felt as if it could hold up. It was a little awkward to get the device in and out of the dock at times, but that’s something you could probably work around or get used to. For those of you who picked up the dock months ago, how has it held up? Cheers Jeralmac, Greg, and BaldyPal!